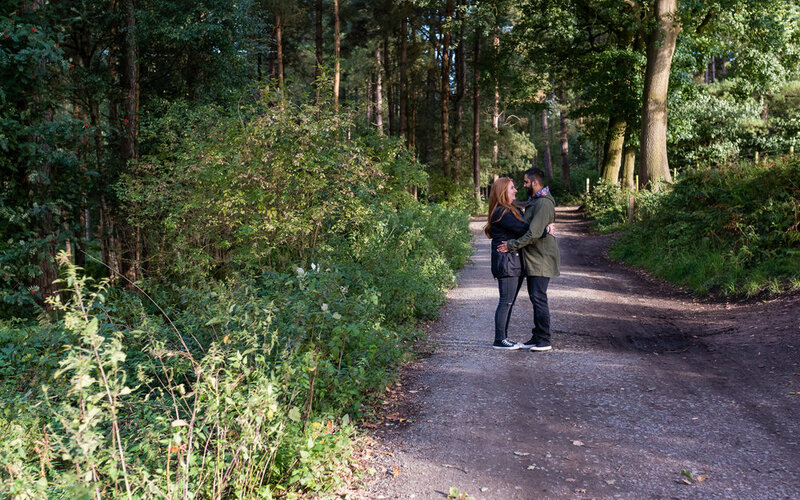 Martin and Clare's Pre-Shoot in Delamere Forest. 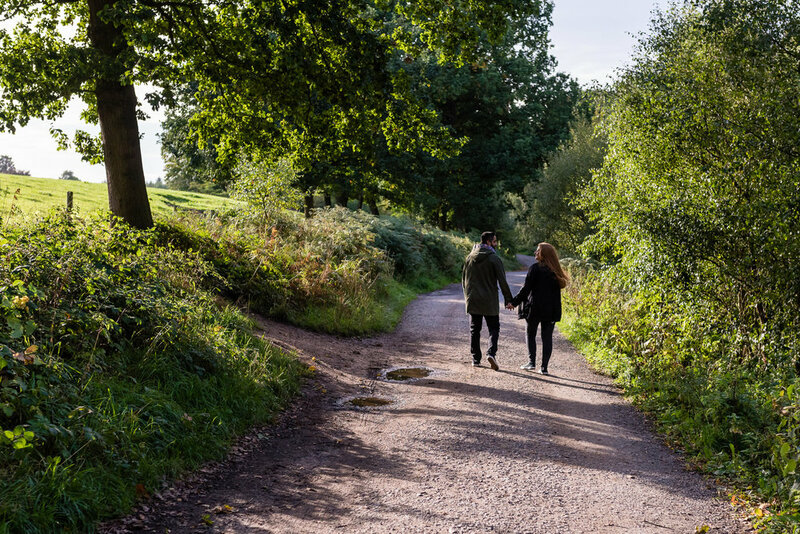 One of the best things about being a Shropshire Wedding Photographer is being able to meet new people and go to new places. Yesterday was such a day when I could do both! 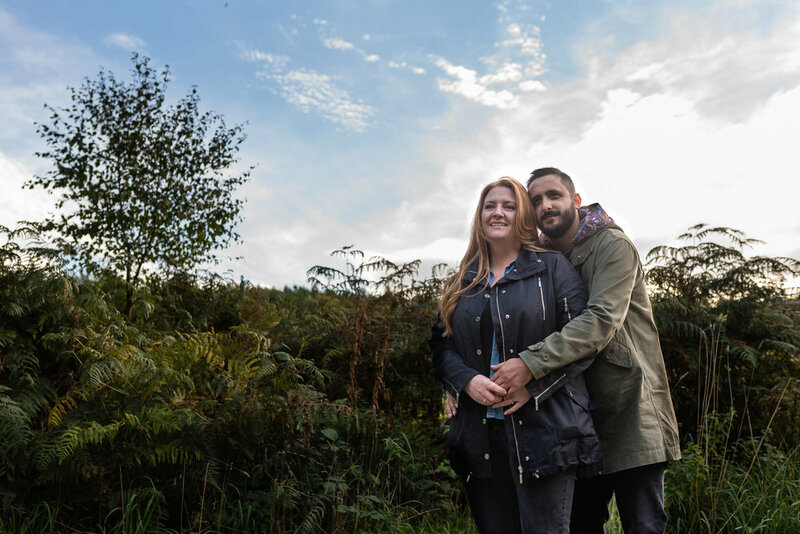 Martin and Clare are due to get married in October at the Richmond in Liverpool - a really urban hotel in the centre of the city - so for their wedding pre-shoot we decided to go back to nature and visit a favourite spot of theirs - Delamere Forest. I’d never visited before. despite only being an hour from door to car park it hadn’t been on my radar as a location - and it’s just beautiful. Mixed woodland, ferns, pools, tracks and easy walking pathways made it a fairly busy place, even at 5:30pm on a Tuesday evening. 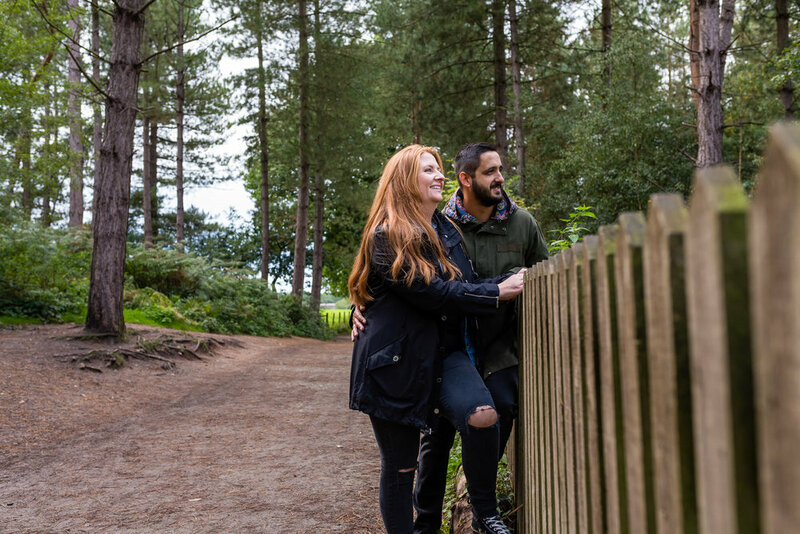 But that didn’t bother this couple who were happy to get into the spirit of the pre-shoot and any nerves were soon put to bed as they became their natural fun loving selfs in front of the camera. 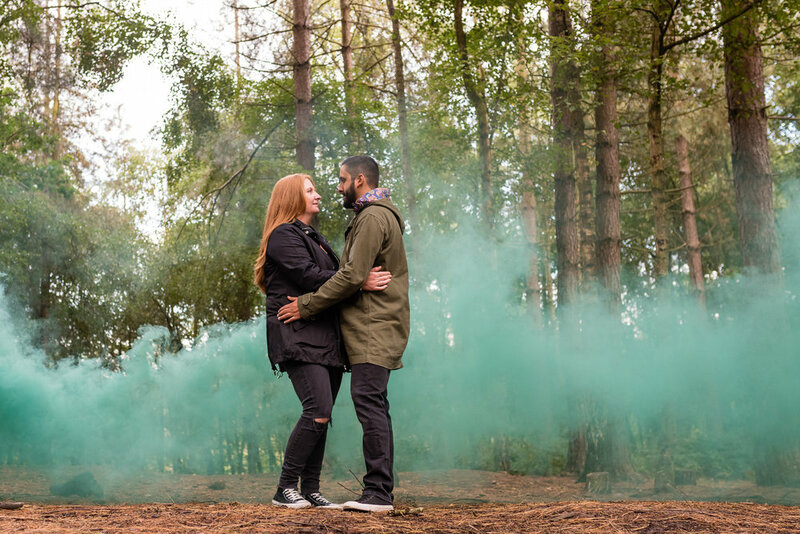 The point of pre-shoots isn’t just to give a few extra images to the couple - it’s more subtle and more important than that. It’s so we as photographers can see what they are like in front of the camera AND so they can see what we as photographers are like behind it. It gives them an idea of what to expect on their wedding day - and means that we’ve spent a decent amount of time together and got to know each other better. The better our relationship BEFORE the big day, the better the pictures will be on the big day…method in the madness! 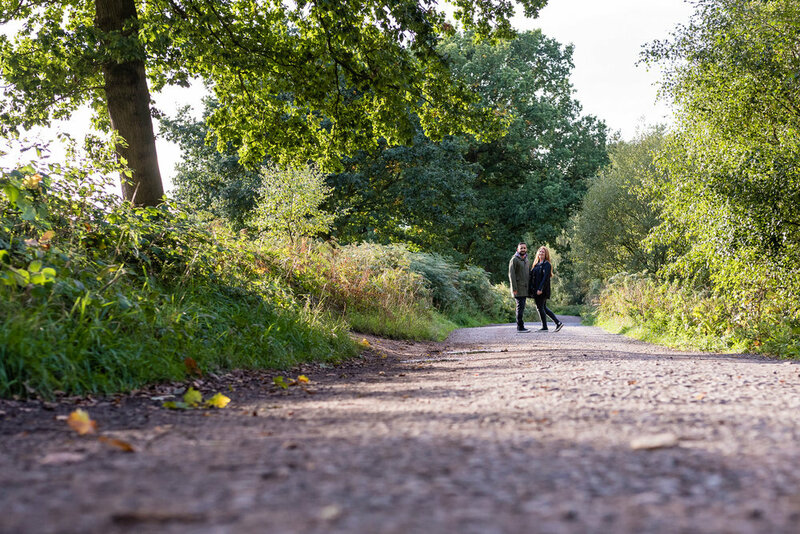 Newer PostHayley and Tom's Pre-Shoot at Haughmond Abbey, Shrewsbury.